People in San Francisco are known to have a lot of opinions about a lot of things. We know off the top of our head the best place to get dim sum, which hike has the prettiest view, and who makes the best artisanal ice cream. But if you want to get someone from San Francisco really worked up, just bring up one of these 10 topics -- all of which we are beyond obsessed with for pretty much no good reason at all. To be fair, almost everyone on the face of this earth loves brunch, but people in San Francisco, like, really really like it. Maybe it’s because we’re always waking up hungover (it can’t be helped, our fair city has great bars in every neighborhood), or because brunch dishes look really pretty on Instagram. Maybe it’s because brunch is the one meal where it’s totally acceptable to start drinking at 10am. Regardless, the thing that makes brunch so special to San Franciscans is that we happen to have some of the best brunch spots imaginable, like Zazie, Foreign Cinema, Outerlands, Ella’s, Brenda’s French Soul Food, Mama’s, Nopa... the list seriously never stops. 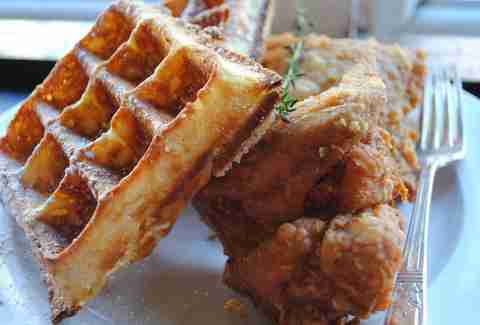 And therefore we never stop talking about brunch. Of course there’s a wait at your favorite brunch spot. San Franciscans don’t just tolerate the idea of waiting an inordinate amount of time for something you could potentially get elsewhere without the wait -- we relish it. 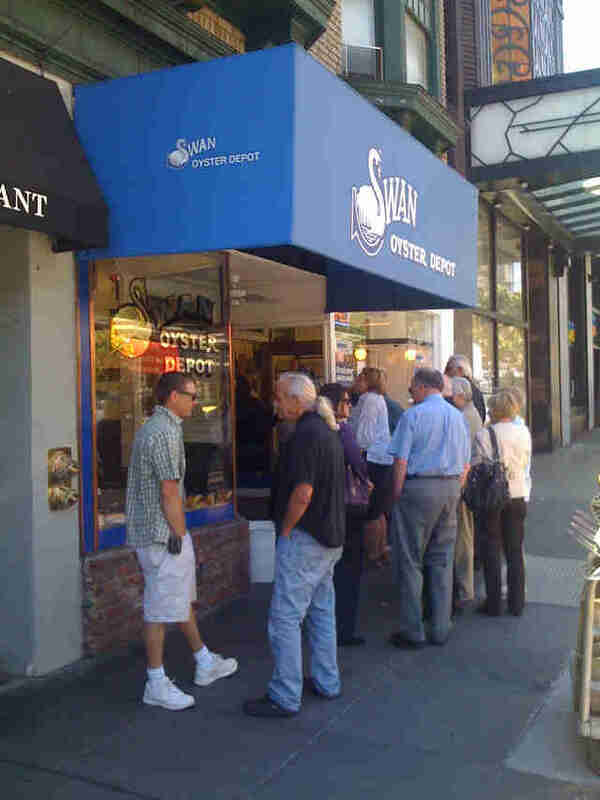 An hour and a half before you can even sit down just to eat eggs... Two hours for seafood from Swan Oyster Depot... Two hours in the rain for day-old bagels... A week outside the Apple store just to get an iPhone you could order online? BRING IT. No, it doesn’t make sense. Yes, we’ll continue to do it with pride. After all, someone has to make sure the “SF Loves Waiting in Lines” Tumblr continues to have content. 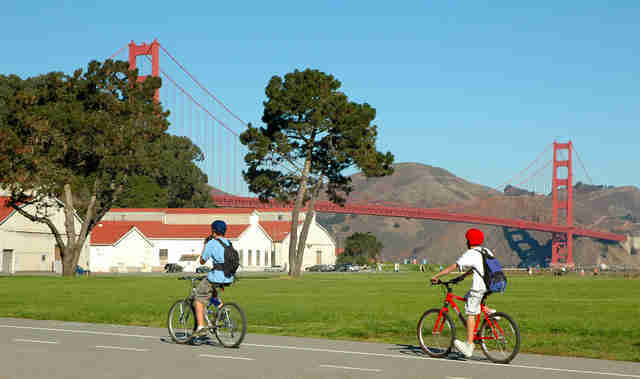 San Francisco has dozens of rolling hills, but nonetheless, one of our favorite ways to get around the city is by bike. The SFMTA estimates that 128,000 bicycle trips are made each day in the city and that 16 percent of SF residents ride their bikes two or more days a week. And San Franciscans don’t just love riding their bikes, they love to talk about how superior they are because they don’t own a freedom mobile (otherwise known as “a car”). This despite the fact that bike wheels get caught in MUNI tracks all of the time, there’s always a chance of getting doored, and an estimated $4.5 million in bikes is stolen every year. Maybe it’s not waiting in lines and bikes we love so much; maybe we really just love suffering. There are a few requirements for anyone who wants to call San Francisco home. You must appreciate the fog; you must never ever call it “San Fran"; you must carry a light jacket or sweater with you at all times. 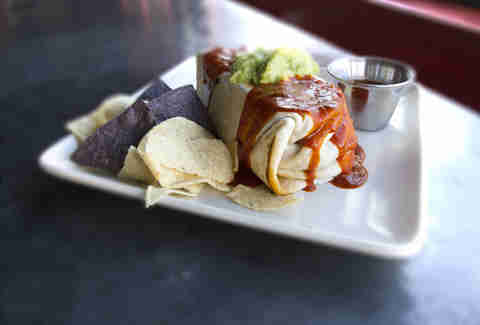 Perhaps most important, you must think that the burrito is one of the best food inventions of all time. Not only that, you must strongly believe that the enormous San Francisco burrito with its meat, cheese, salsa, guacamole, rice, beans, and sour cream is far superior to any other burrito out there (especially the ones made in San Diego because no: French fries do not make a burrito taste better). You’re also required to have a favorite burrito spot, which you champion above all else and wax poetic about often. 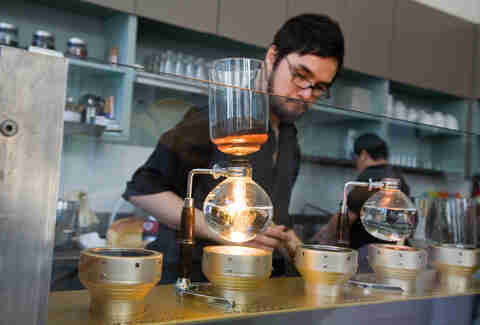 Sightglass, Ritual, Four Barrel, Blue Bottle... San Franciscans cannot function without their third- and fourth-wave coffee. And we’re not just caffeine-crazed -- just see what happens when you suggest a meeting at Starbucks instead of CoffeeShop or Philz. Yeah, SF is full of coffee snobs who will happily take an hour of your time explaining the difference between single origin and blends and, if you let them, why the AeroPress is better than the French press. Of course, they’d prefer to have that discussion while sipping an $8 cold brew. When the temperature rises above 75 degrees in San Francisco, the heat is literally all anyone in San Francisco is able to talk about. At first, the entire town is excited to bare their pasty white legs for the world to see while drinking at an outdoor bar or grilling out on a friend’s rooftop deck. However, if the heat wave lasts more than two days, the conversation will quickly change to figuring out which bars have air conditioning, arguing that it’s way too hot to hang out in Dolores Park, and telling anyone who will listen how desperately we need Karl the Fog to come home. Every year at the end of summer, a large part of the San Francisco population makes it way to a prehistoric lake bed in Nevada where they spend a week partying, looking at art, and convincing themselves that they’ve created a community that’s totally self-reliant even though they spent tons of money and time buying food and equipment so that they won’t die in the desert. So why is Burning Man on this list? 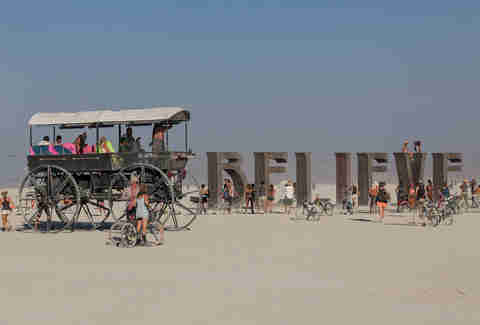 That because every San Franciscan loves to tell people how they feel about Burning Man. Whether they use terms like “playa family” and talk about real life as the “default world,” or they celebrate the Burner exodus from San Francisco and joke about building a wall while everyone’s gone so they can’t get back in, you won’t find a person in SF who doesn’t have a strong opinion one way or the other. 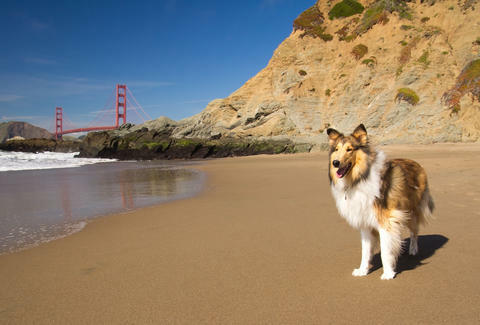 There are an estimated 120,000 dogs in San Francisco and around 107,000 kids. 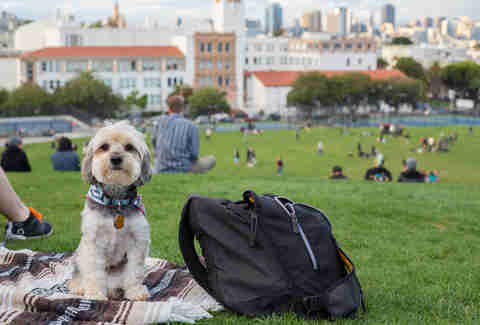 Yup, SF has more dogs than kids and we’re damn proud of it. But we don’t just love our canine companions; we love to bring our furry friends to work, bars, stores, parks, and, well, pretty much everywhere we go. They’re like the babies people who live in SF will never be able to afford to have. 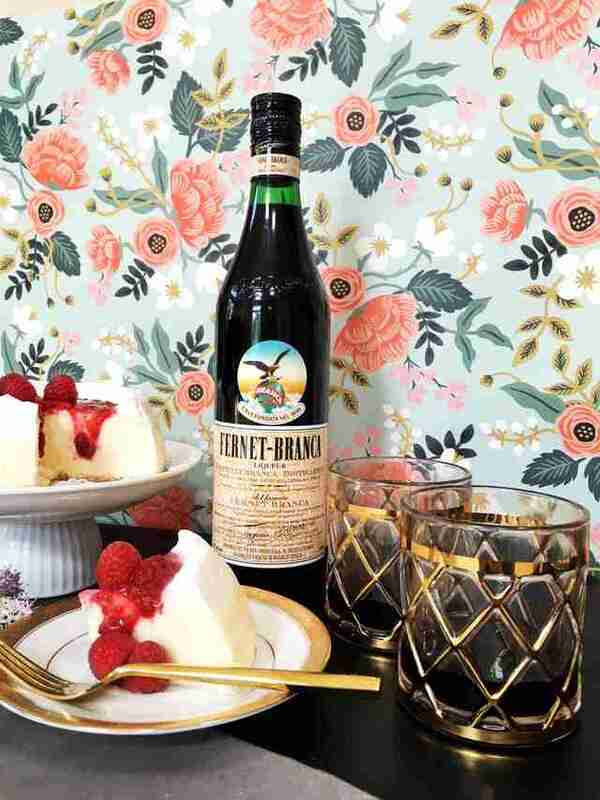 No one knows why this Italian digestif became the lifeblood of San Francisco, but the fact is: whichever side of the bar you’re on, there’s a good chance a shot of Fernet will make its way into your belly at some point over the course of the night. In fact, SF is responsible for consuming 35% of all of the bottles of Fernet imported to the US. Sure, the first taste is a little shocking and you probably won’t get what the fuss is about. But with time, Fernet stops tasting like a black licorice-flavored medicine and starts tasting exactly like home. 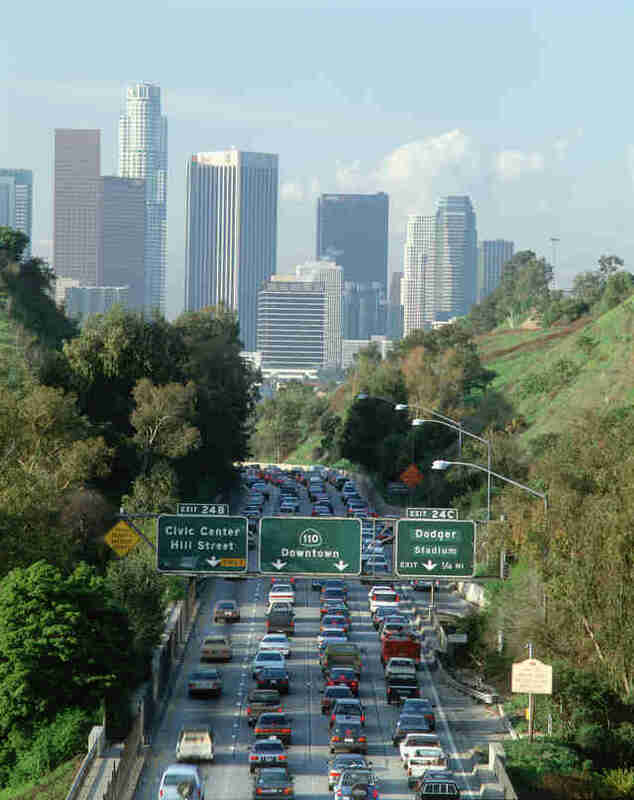 Even though we might disagree on which taqueria makes the best burrito, which coffee tastes the best, or if Burning Man is a worthwhile use of vacation days, there is one thing that unites all (native) San Franciscans: a strong dislike of Los Angeles. Day after day of sunny weather, traffic jams at all hours, and ugly, generic sprawl... We can’t get enough of bragging about how superior our charming little liberal City by the Bay is. That is, until we realize we can’t afford to live here anymore and start looking at places in Los Feliz. Daisy Barringer is a freelance writer who grew up in SF, has an adorable Saint Bernard named Monkey, thinks Burning Man is a joke, and would never ever move to LA. That being said, she prefers tacos to burritos. If she buys you a shot of Fernet, will you forgive her? Tell her on Twitter @daisy.